Building Information Modeling (BIM) is changing how buildings, infrastructure, and utilities are planned, designed, built, and managed. 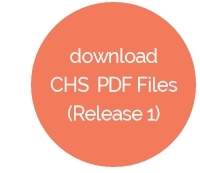 CHS Healthcare works with major national Architects, Health Planners and clients to provide BIM compliant Revit® product families and content so you have access to the latest and most accurate technical data to help turn information into insight and deliver business value at every step in the process. Our BIM compliant Revit® families ensure product specifications are met with accurate, reliable data. Tolerances, clash detection, BOQ data and vital product information are all a part of our current and future BIM compliant Revit® resources. 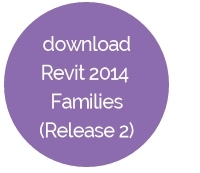 If you are an architect, health planner, consultant or builder download our Revit® families today. Our Revit® families are Revit® 2014 compliant, and designed in collaboration with our technical partner IGS (Innovative Growth Solutions). Revit® software is specifically built for Building Information Modelling (BIM), helping construction professionals design with higher-quality results. 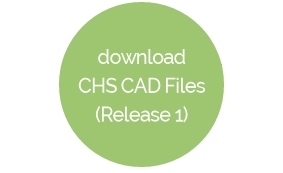 All CHS Healthcare patient lifting and rail configurations are now modelled in Revit® and are readily available for download for architects, designers and structural engineers to use in their projects. This move by CHS Healthcare is saving these professionals a wealth of design time, as well as ensuring that project design incorporates greater insight. 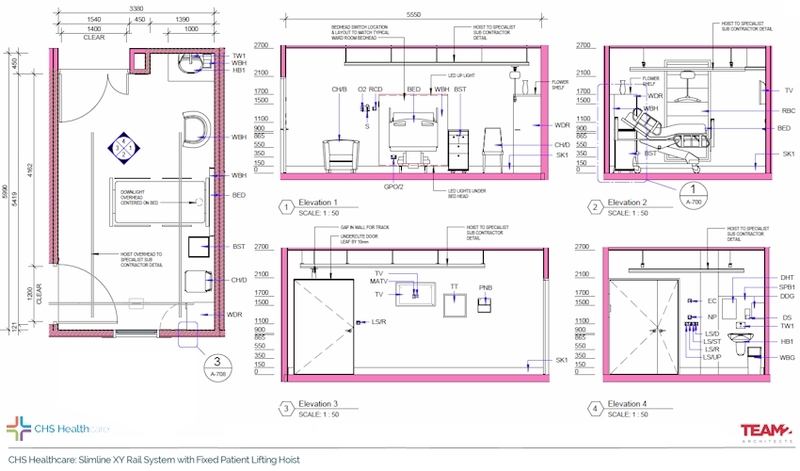 CHS Revit® data allows you to auto-configure rail systems to your room and hoist requirements, providing instant detail and specification requirements for fixing points, rail dimensions, Safe Working Loads, rail path and hoist type for areas such as care facility rooms, short stay rooms, intensive care wards, emergency departments, acquired injury areas, physiotherapy wards, aged care and so much more. CHS Revit® data is also perfect for rail systems that are required for ensuites, accessible rooms or bathrooms, special development school rooms and activity areas, and domestic and community changing or aquatic areas.